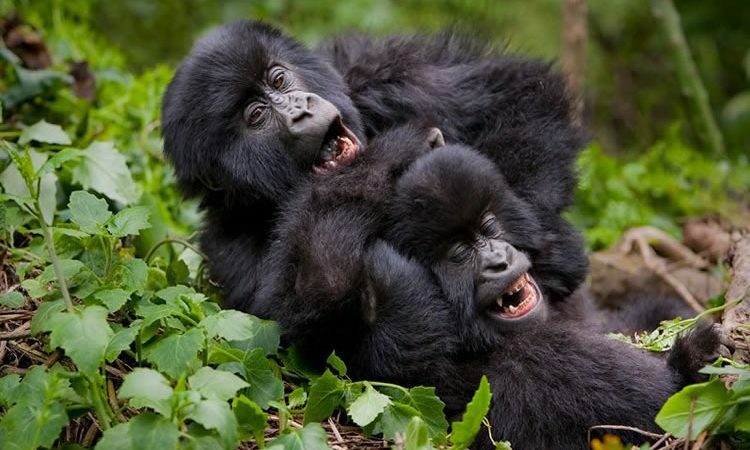 This 3 day travel travel itinerary brings you to Rwandas Parc National De Volcans on a gorilla trek. Among other activities to engage in during the safari include, visiting the genocide memorial site of Gisozi, Visiting the Dian Fossey tombs, Golden monkey tracking and a community walk. The Rwanda Gorilla tours package starts and ends in Kigali. A guide from our Rwanda tours and travel company will pick you up from the airport or your hotel and take you for a Kigali city tour where you get to visit the Kigali genocide memorial center which commemorates the 1994 Rwanda genocide. You further get a chance to meet and talk with the locals by visiting a local market in Kigali before embarking on the journey to volcanoes national park. Upon arrival in the park you will check-in to your hotel / lodge where you will have dinner and stay for the night. Have breakfast early in the morning before heading to the park headquarters where you will be briefed about the gorilla tracking rules. You will then proceed to track the gorilla family you have been assigned to. It takes between 2 to 8 hours before you encounter a gorilla family since the gentle giants are always moving about the forest. After your gorilla tours, you will return to the lodge where you will have lunch and some rest before proceeding to the Iby’Iwacu Cultural Village where you get to learn about the Rwandan culture. After breakfast, you will proceed into the park to track the golden monkeys. While in the forest there are several birds which you will see and other primates like the baboons. You will later visit the Dian Fossey tombs after which you will return to lodge and freshen up before heading back to Kigali.